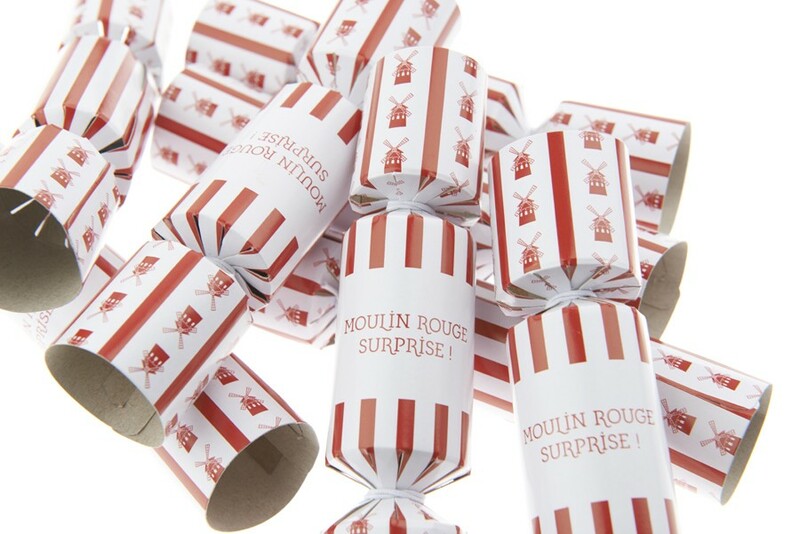 You will go from one surprise to the next with the Moulin Rouge® Crackers! 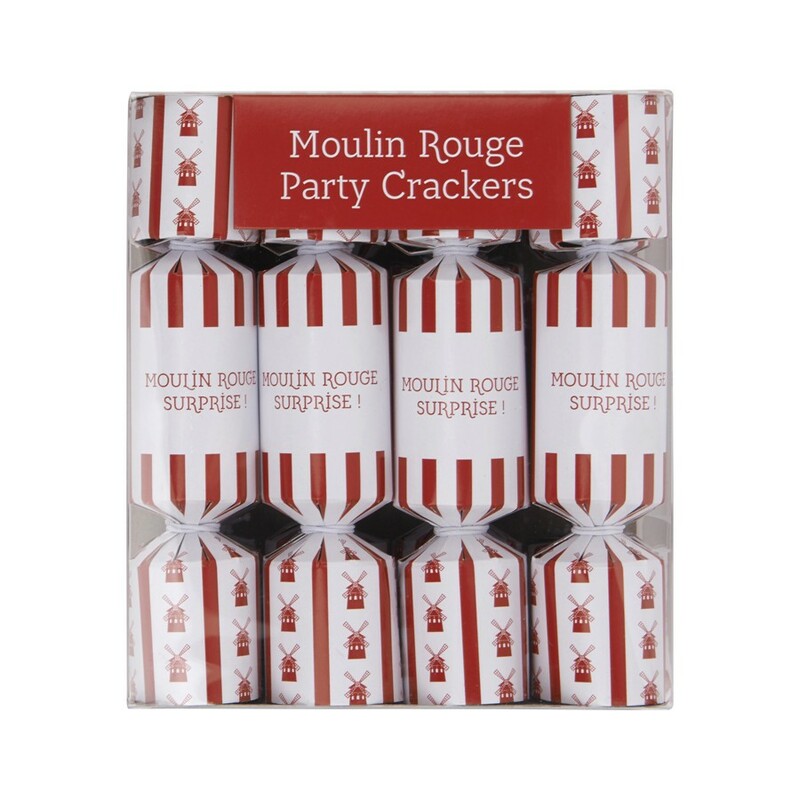 The Moulin Rouge® Crackers will be an original and essential asset of your most beautiful parties. These are mini gift wrappers that split when you pull on the ends: ‘Crack! Boom! Wow!’. A selection of funny and festive pieces (colored paper wreath, small charms, jokes and word plays) can then be discovered.